Serena and Venus Williams usually get top billing at the Miami Open but this year there is another sister act vying for the spotlight with world number one Naomi Osaka showing older sibling Mari the ropes. Serena and Venus Williams usually get top billing at the Miami Open but this year there is another sister act vying for the spotlight with world number one Naomi Osaka showing older sibling Mari the ropes. The Williams sisters have hoisted the Miami trophy 11 times between them and all those victories were celebrated at Crandon Park in Key Biscayne. Naomi will be joined in the draw by her 338th-ranked sibling who needed a wildcard to get a place in the tournament. “It is a bit weird that I have to give her advice and she is my older sister,” Naomi told reporters on Wednesday. “But she has been doing like newbie mistakes. Naomi gets a first-round bye while Mari starts her campaign on Thursday against another wildcard in American Whitney Osuigwe. On opposite sides of the draw, the only way the sisters could meet in Miami would be in an all-Osaka final. Even if Mari’s stay ends up being short, however, Naomi is enjoying having her sister by her side. 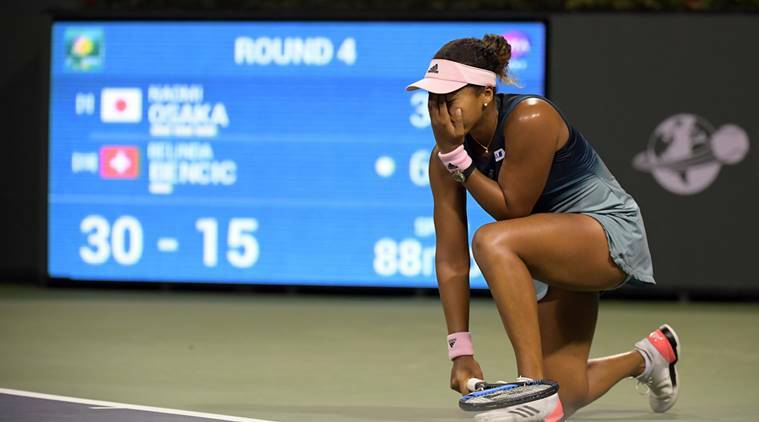 World number one Naomi Osaka arrived at the Miami Open on Wednesday to face questions about a multi-million dollar lawsuit for allegedly failing to honour a contract with a former coach. According to the lawsuit filed in Florida’s state court on February 7 and seen by Reuters, Christophe Jean says he began coaching Osaka and older sister Mari in 2011. Jean says he entered into a services contract with their father Francois in March 2012 that would pay him 20 percent of Osaka’s future earnings. Osaka’s attorney Alex Spiro described the lawsuit as a “false claim” that has no merit. Osaka, who has enjoyed a meteoric rise and won the last two grand slams to reach number one in the world, has career earnings of $10.8 million and has made millions more in endorsements. The 21-year-old U.S.-based Japanese player raised eyebrows last month when she announced she was parting with coach Sascha Bajin, who guided her to the Australian and U.S. Open titles. That split, however, appeared amicable with both Osaka and Bajin wishing each other the best for the future.